Pakistan has recently demonstrated the short range SS Hatf IX or the NASR claiming it is nuclear capable. The test was reported on 19 April in media networks across the region. Its nuclear capability depends on the miniaturisation achieved since the Chagai tests at which three low yield (sub-kiloton) devices are said to have been detonated. Analysts in Pakistan have described this as the country’s answer to ‘Cold Start’, espoused by the Indian Army. The surface-to-surface (SS) tactical nuclear capability of Pakistan came from a need to deter any conventional attack by India. 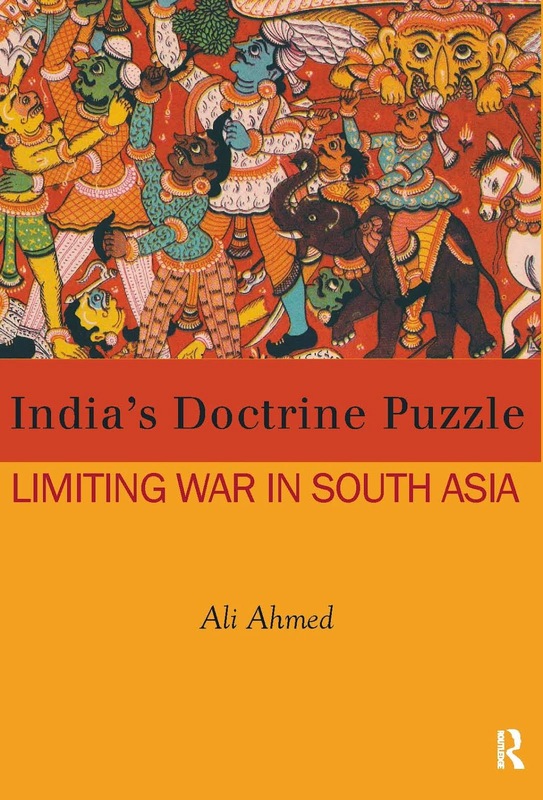 Over the last decade, India had shifted to a conventional doctrine of ‘Limited War’ in which it intended to launch multiple shallow thrusts to keep below the nuclear threshold of Pakistan. The SS missiles have been depicted as serving to deter even such shallow depth attacks in a low nuclear threshold mode. Implicit analysis is the intent of nuclear first use. So, what is the effect of this development on Pakistani nuclear doctrine? The doctrine is generally taken as effecting first use, in the absence of Pakistan’s espousal of ‘no first use’ or NFU. It must be acknowledged that absence of explicit doctrine of NFU does not imply ‘first use’. Since Pakistan has not brought out a declaratory doctrine, preferring ambiguity, it is not known for certain as to what its doctrine is. In other words, Pakistani operational doctrine could well be of NFU. However, consensus has it, based on its actions and statements of personages that the bias in Pakistan’s case is in favour of ‘first use’. Pakistan seeks to ‘do more’ with nuclear weapons than is usually credited to them. Like the NATO in the Cold War period, it also employs its nuclear deterrent to cover the conventional level. This it does in the belief of conventional asymmetry with India. 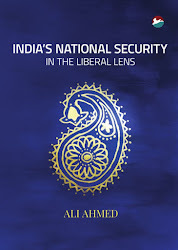 The ‘first use’ threat is to deter India from leveraging its conventional advantage. India has anticipated such a posture and gone in for a Limited War doctrine. The doctrine taking cognisance of possible nuclear thresholds, stipulated multiple-pronged offensives by integrated battle groups over a broad front keeping below any appreciated thresholds. Pakistan, in demonstrating its SS tactical nuclear capability has attempted to depict a lower threshold so as to restrict further the scope of these limited offensives. Knowing that Pakistan relies on information warfare to enhance the credibility of its deterrence to cover the conventional level, there is little reason to take Pakistan at its word. Shallow thrusts do not do much damage to Pakistan. At best it would suffer infrastructure damage along the border and require managing refugee flows. Air operations would likewise be circumspect in the extent of attrition they inflict on strategic reserves. This would be a more consequential threshold and therefore airpower will have to be more carefully calibrated. Since the political and military aim in a limited war would be to keep the conflict restricted in scope, time and intensity, Pakistan has the conventional capacity to respond adequately without having any deficiency being compensated by nuclear weapons. While Pakistan has practiced its counter to ‘Cold Start’ in the Azm-e-Nau III exercises last year, it may not prove equal to stemming India’s strike corps, particularly if more than one of the three, are employed simultaneously. In the event, it may have to react with the SS missile against threatening pincers. The missiles therefore under-grid Pakistan’s first use posture described by one analyst as ‘asymmetric escalation’. The Hatf IX therefore attempts to extend the cover of the nuclear overhang more credibly to cover the conventional level. In the current scenario of Pakistan’s strike reserves being also employed for counter-insurgency tasks and into the near future, they may have to reel in and then deploy into action. While they are doing so and traversing to battle stations, they would be subject to attrition by airpower. They would thus be sub-optimal and may not be able to stanch India’s conventional inroads. Implicit in building the NASR is the threat of first use on elements that do not have a conventional counter or reserves suitably positioned for reaction. 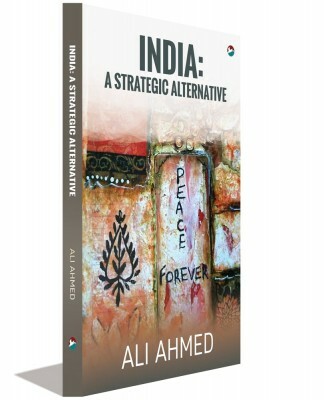 There are three options at which India could prove responsive to the threat. One is in the additional step it has built in at the sub-conventional level before resorting to the conventional level. This may be seen in the recent distancing from the ‘Cold Start’ theory through launch of proactive contingency operations calibrated to Pakistani proxy war provocations. The second is by going in for a ‘Cold Start and Stop’ strategy. This would mean retaining the strike corps in a posturing role geared to escalation control by deterring conventional escalation by Pakistan. This builds in two fire breaks prior to the more credible possibility of nuclear first use by Pakistan. The last is in extending nuclear deterrence to cover the low threshold mode. Presently, the doctrine of assured retaliation posits that such retaliation must be to inflict ‘unacceptable damage’. However, Pakistan may delude itself into believing it can get away with lesser punishment in the event of a strike with low opprobrium quotient. It may be prompted towards this by its risk taking capability, deficiency in strategic sense and a military dominant aggressive strategic culture. India could in such a circumstance resort to a quid pro quo or quid pro quo plus strike. This may mean a departure from ‘unacceptable damage’, but the threat of the same remains to deter nuclear escalation. Even if India’s declaratory doctrine meant for nuclear deterrence and in tune with India’s interpretation that nuclear weapons are political weapons is retained as such, this shift can be done in India’s operational doctrine. This would deter Pakistani first use even in the low threshold mode as suggested by the development of NASR. The window that Pakistan has tried to reopen for continuing its proxy war taking advantage of the stability/instability paradox can thus be slammed shut once again.